Tropical island luxury takes on a whole new meaning at The Ungasan Clifftop Resort (formerly known as Semara Luxury Villa Resort), where 7 spacious and architecturally stunning 5-bedroom cliffside villas await; spread out over 7.5 hectares of exotic gardens and offering up panoramic views of Bali’s rugged coastline and the Indian Ocean. 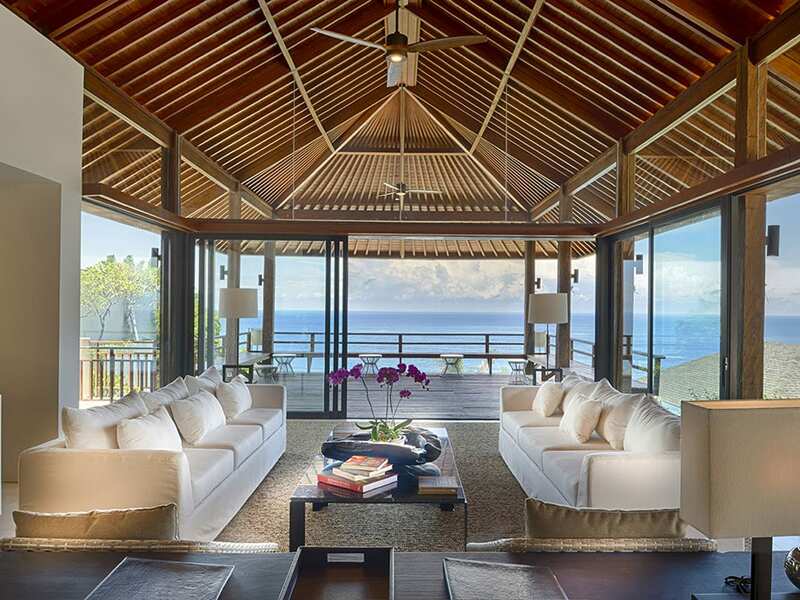 Each villa has private swimming pools that overlook the water, a mix of traditional Balinese and modern furnishings, and plenty of space and seclusion for families, groups and special events. Whether you’re planning a corporate escape, an unforgettable wedding reception or simply a romantic holiday in a gorgeous setting, the Ungasan Clifftop Villas are sure to impress even the most discerning of travellers. The sheer amount of appealing indoor and outdoor spaces and the lovely setting of the villas makes The Ungasan Clifftop Resort the ideal location for special events, corporate gatherings, family reunions or weddings. The villas can accommodate groups of all sizes and the service team welcomes all manner of requests, including catering, cocktail parties, personalised decor and event planning. Besides architecturally stunning villas, The Ungasan Clifftop Resort also offers plenty of appealing spaces where you can wine and dine, get some fresh air and exercise and pamper yourself. During the day, guests can enjoy the private beach, professional golf putting green, tennis courts, serene spa, sublime Selatan restaurant and the famous Sundays Beach Club where you can indulge in gourmet cuisine and cocktails while dipping your toes in pristine white sands and crystal clear waters. In fact, Sundays Beach Club attracts people from far and wide for its dramatic location at the bottom of a steep cliff and in front of a stunning white sand beach that spills into the glassy aquamarine water. The food here is top notch, the cocktails are simply divine, and there are even spa bales next to Sundays so you can indulge in a soothing massage while overlooking the sea and cliffs. Space and seclusion are the main focus at The Ungasan Clifftop Resort, as the villas have been designed with privacy in mind. Perfect for groups, families or even couples who want peace and quiet and room to move around, each villa offers five bright and breezy bedrooms with king-sized beds and marble ensuite bathrooms, private infinity pools that overlook the ocean below, fully equipped Ariston kitchens, entertainment rooms with cutting edge home theatre systems and plush sofas, full service bars and in-villa BBQs. 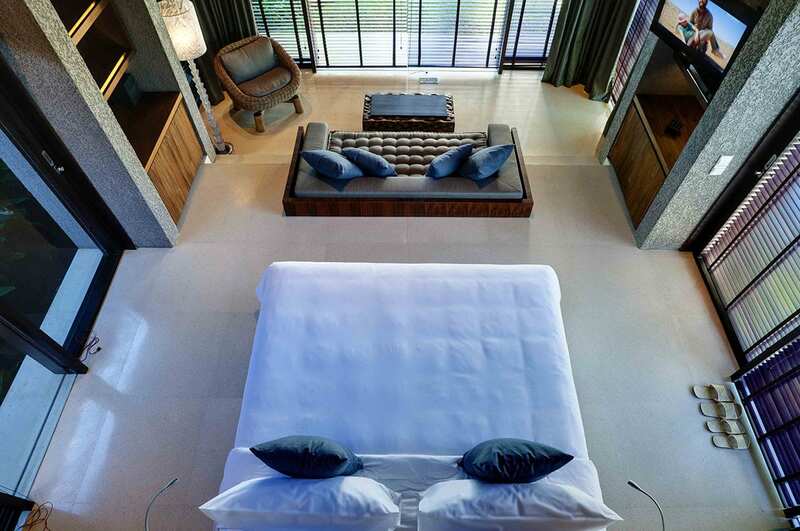 Each villa also has its own unique design that is both contemporary and chic, yet relaxed and welcoming. 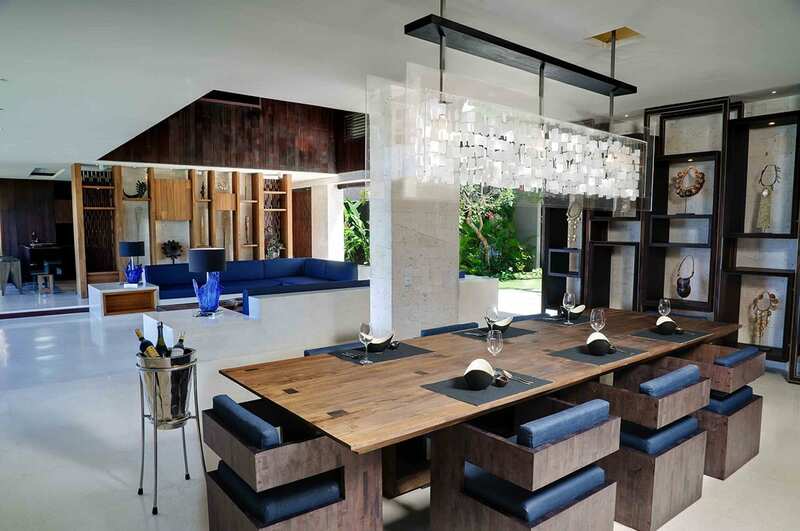 Crisp contemporary lines await you at Villa Jamadara, where white stone is juxtaposed with rich natural wood accents, dark blue sofas and navy sun shades next to a turquoise infinity edge pool overlooking the limestone cliffs of Uluwatu. The feeling here is one of space and light, as the spacious main pavilion is open on one side to allow sea breezes to waft in, and the sprawling lawn and gardens spread out generously around the pool and the villas. Perfect for entertaining guests or frolicking with the whole family, Villa Jamadara is the ideal blend of indoor and outdoor tropical island living. The main living pavilion contains both a library/office and a media room. The downstairs area has beautiful architectural pieces with a dining room and built in lounging area. This is an ideal entertainment centre for all your family and friends. For those that prefer to relax outside, retreat to the infinity edge pool and watch the sun go down over the ocean either in your luxurious sunken lounge or at the outdoor dining space. Jamadara also has a pool fence available for extra child safety if required. 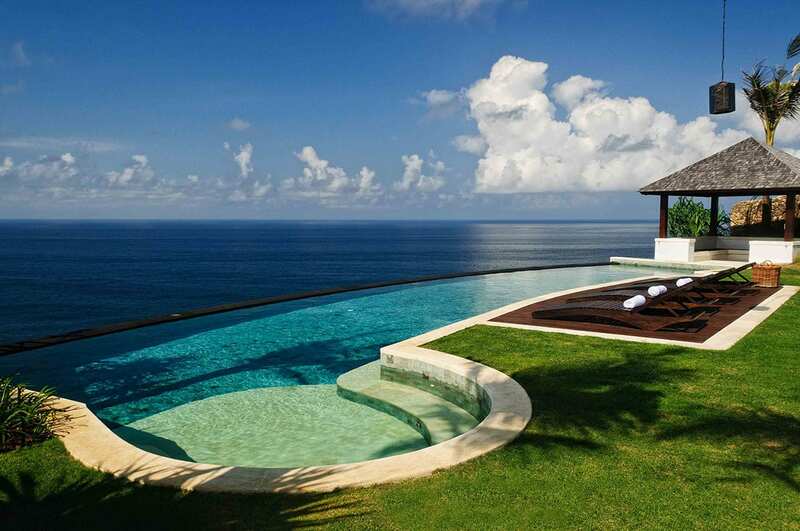 LOCATION The Ungasan Clifftop Resort, Uluwatu, The Bukit, Bali, Indonesia. FACILITIES King Size Beds, Ensuite Bathrooms, Climate Control A/C, Outdoor Garden, Fully Equipped Kitchen, Bose iPod Docking, Media Room, Infinity Pool, Private Office/Study, Satellite TV, In Villa Wifi Internet, Private Full Service Bar, Sunken Poolside Lounge, In-Room Safe, Laundry Service, BBQ Area, 2nd Story Verandah. STAFF Resort Manager, Personal Chef & Butler - daily from 7am–10pm, 24hr Security, 24hr Reception, Housekeeping. ENTERTAINMENT Satellite TV, Home Theatre System, Bose iPod Docking Stations, Wii/PS3/xBox, Board Games. IN-VILLA DINING For the ultimate villa experience we recommend guests enjoy dining privately with a menu prepared by their own personal chef. For those renting a whole villa this can be done for breakfast, lunch and dinner. A 5 Bedroom Villa has a chef included for 8 consecutive hours daily. There are many sumptuous cuisine choices to select from, however, the Chefs encourage guests to discuss their preferences and then let them create something special. RESTAURANT Perched cliff edge, Selatan Restaurant offers a sophisticated setting in which to enjoy exquisitely prepared dishes complimented by an extensive wine list that will satisfy the most discerning palates. BEACH CLUB From a light snack to a global feast, dining choices include authentic pizzas straight from our stone pizza oven, the freshest seafood, light salads and the ultimate steak sandwich. SPA Visit the Ungasan Spa and indulge in a signature spa treatment in a therapy room or in the privacy of your own villa. The spa therapies at The Ungasan Clifftop Resort Uluwatu have been created specifically to rejuvenate and restore harmony within mind, body and spirit. 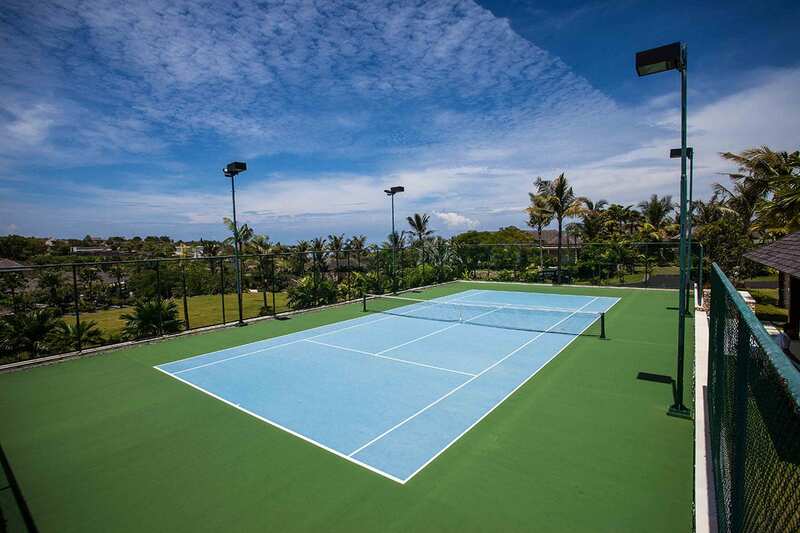 FITNESS Tennis Courts (Grass & Hard-court), Putting Green, Fully Equipped Gym, 28m Infinity Swimming Pool. Personal trainer and instructors for yoga, tennis or Golf upon request. Beach Volleyball, Soccer, Snorkelling, Kayaking. WEDDINGS After opening the large wooden gates to enter Jamadara you are blown away by the views of the bright blue ocean. With its large cliff top infinity pool it is the most incredible stage to hold your nuptials. Open plan, light and airy with contemporary styling it has everything you need to host a dinner party. With a bar by the front lawn and a large lawn behind this villa would also be the ideal setting for an elegant standing cocktail party. The main house has a large rooftop lounge, a great spot to unwind and watch the sun go down from the famous cliffs of Uluwatu. Maximum capacity for ceremony and reception 30 guests. CORPORATE The Ungasan Clifftop Resort Uluwatu is the ultimate corporate event venue and is ideal for smaller groups and even for exclusive use. TRANSPORT 8 Hour Private Car & Driver per day (one car). PROPERTY AREA 7.5 Hectares (land). 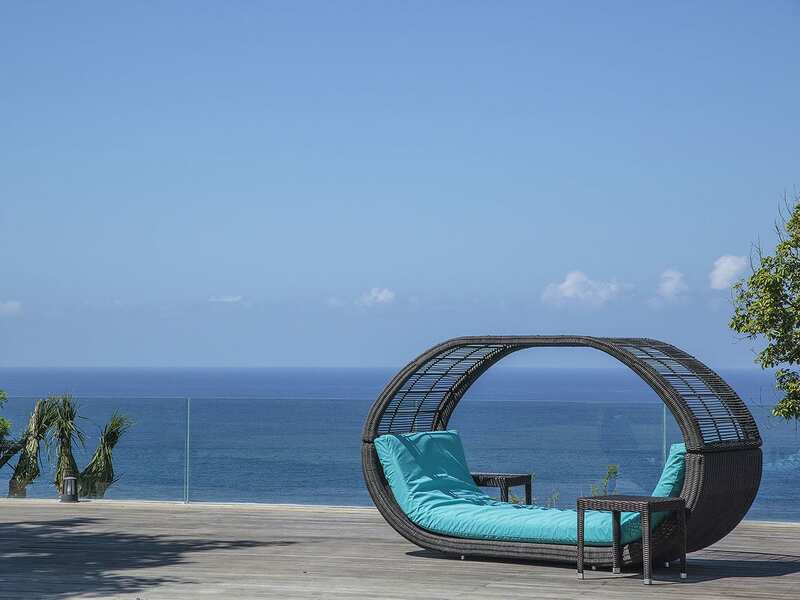 The Ungasan Clifftop Resort Uluwatu is located approximately 15 kilometres south of Ngurah Rai International Airport in an area commonly referred to as ‘The Bukit’. The resort is located on the southern most tip of the island of Bali perched high above the Indian ocean on the white limestone cliffs of Uluwatu. Nearby is the stunning Pura Luhur Uluwatu temple where you can watch a traditional Balinese performance, dine on the sand at the famous Jimbaran Seafood Restaurants or visit the vibrant shopping area of Seminyak which can be reached in just 40 minutes by car. 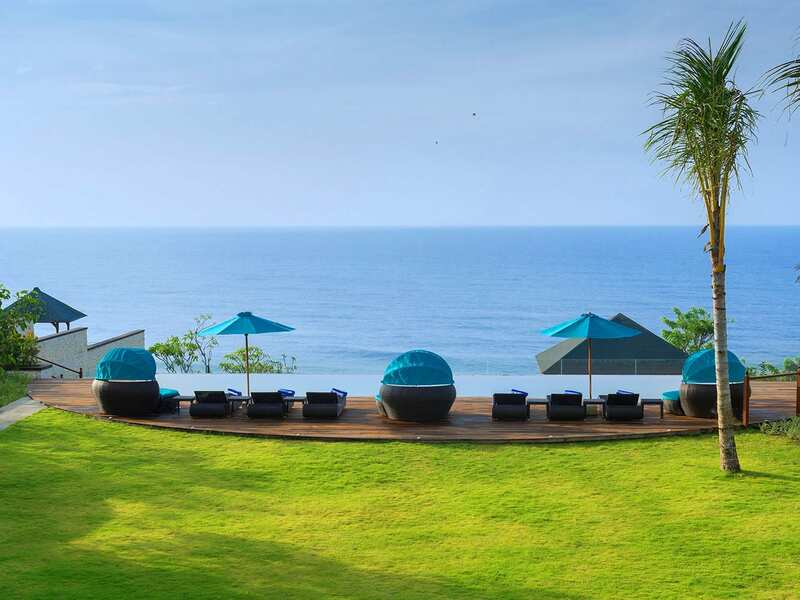 Before your arrival into Bali, our Reservations team will confirm your flights and transfers to The Ungasan Clifftop Resort for all the guests staying in your party. And if you prefer the VIP Airport Clearance service, we will happily arrange this for you. An Ungasan Clifftop Resort staff member will greet you at the airport holding a plaque with your name, assist you with your baggage and accompany you to your air-conditioned vehicle. It’s that easy. Seven spectacular cliff top villas. Each villa very different with five bedrooms and their own pools. Amazing views, great staff. We stayed in Jamadara. Our butlers, Dewa and Eka, were excellent. Villa was big and well spread out with a great pool and lovely private bedrooms. Plenty of grass, pool and beach for the kids to hang out or exlpore. Plus a comfy chill/movie room for when it was time for everyone to unwind. An effective yet unobtrusive pool safety fence can be put up or taken away at your request. 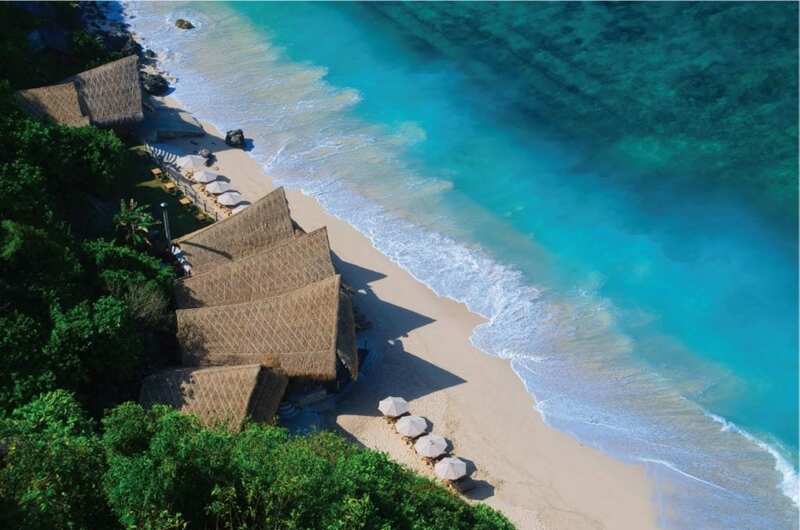 Semara villas are perched above the best private beach in Bali - they have direct access via an inclinator to the uber cool Finn's Beach Club - where we were always treated like royalty. Food in the villa is great, your chef will cook whatever you'd like for every meal, or you can order from an in-villa menu. We were always about ten people so meals were salads, pasta, curry, indonesian dishes served family style at a huge table with ocean views. The Bukit in the far south is quiet, no shopping and few dining options in the area (I recommend "Warung" at nearby Alila Villa's for high-end Indonesian food). 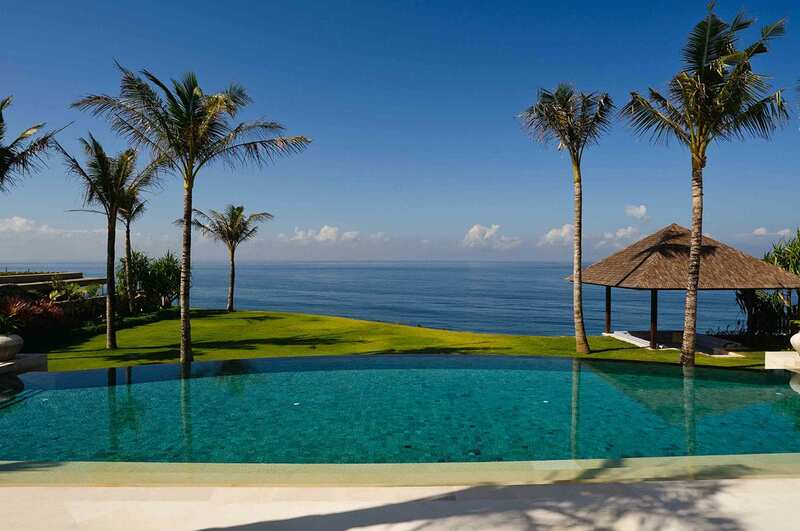 This is the best part of Bali for you if you want pool, beach, views and quiet for you and the family. Nusa Dua, Uluwatu and Jimbaran Bay are just a short drive away - Seminyak is further, about 40-50 minutes - the villa driver will take you. Great villa, with amazing views and wonderful staff. And that beach is incredible. We've stayed at Semara 3 days for our big family reunion so we've booked Jamadara villa that have 5 rooms altogether.The view was so perfect, made me feel so peaceful and serene. My butler is Eka, he is always full of smiles, and inclusive of my poor English, we are very grateful to him, we hope to see him again next time at Semara, this paradise place. Easily the best Ive ever slept!! Where to begin. You know when you open the glossy gourmet traveller or travel brochure and the photos look unreal, well this place is a photographers dream. I think i have taken over 200 photos in the three days we stayed here as a large wedding group of 50 people . We were all equally as impressed as each other with our mouths open , gob smacked at the incredible beauty upon our arrival at this resort and the admiration never waivered for me. I have emailed the managers and let them know how happy all the party were with their staff and the facilities. They were simply the best. The bedding ( in heaven), my ensuite ( to die for) and the decor throughout the various villas and the ground were impeccable and faultless. So cleanliness was excellent , and the location was breath taking and I highly recommend anyone considering this as a venue to have your wedding and family meet , just book it.Exotic and Faultless! 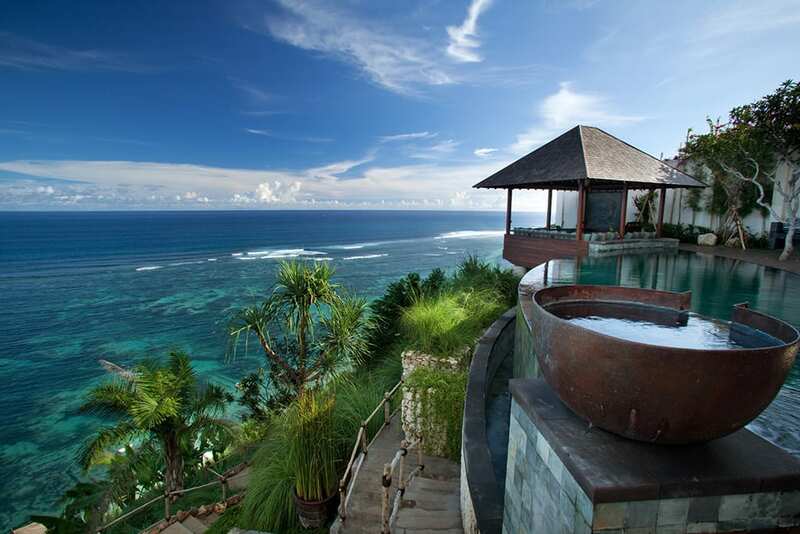 The Pala is Pandawa Cliff Estate's fabulous flagship villa, located high above the ocean on Bali’s southernmost tip. This spectacular 6-bedroom villa features a 20-metre infinity pool along with spacious and stylish indoor & outdoor living areas. Villa Hamsa enjoys a spectacular clifftop location high above the Indian Ocean and is part of the exclusive Sohamsa Ocean Estate. 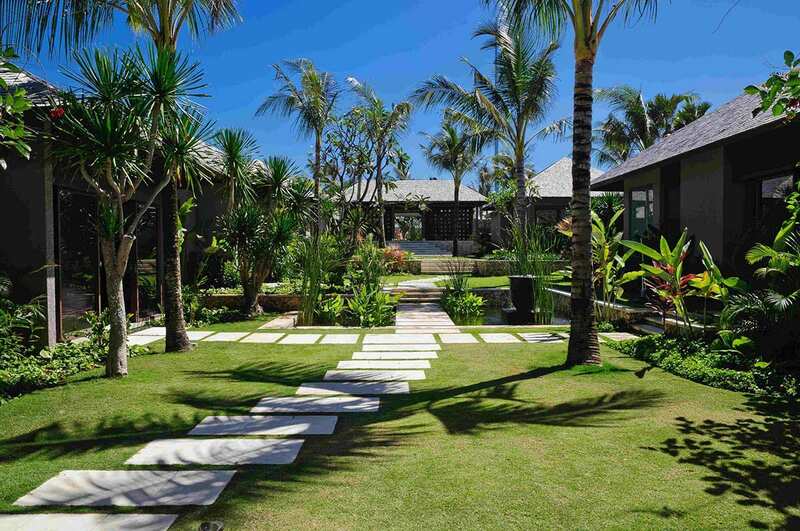 This 4-bedroom luxury Bali villa is perfect for couples & families looking for a lavish bolthole on the Bukit. Set on the stunning Ungasan Clifftop Resort overlooking the Indian Ocean in the Bukit Peninsula, Villa Santai Sorga oozes class and comfort. 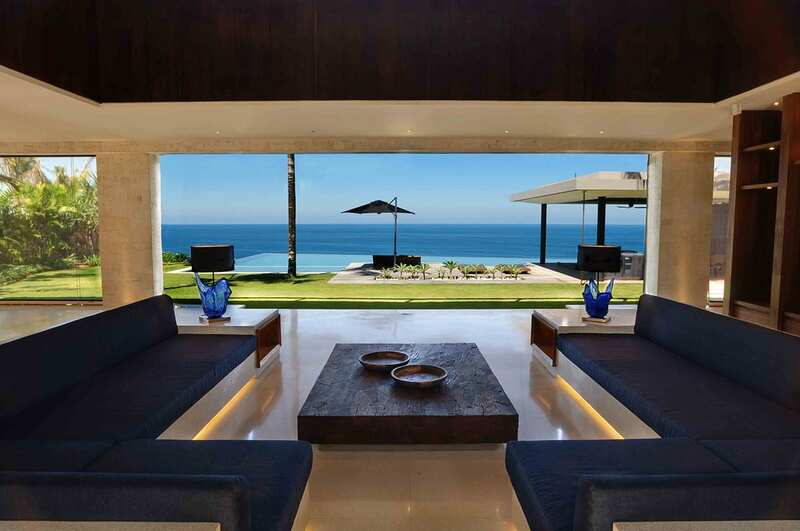 This spectacular 5-bedroom cliffside villa is the ultimate in luxury and privacy. Welcome to Bidadari Cliffside Estate, one of Bali’s most breathtaking 4-bedroom villas perched on a cliff overlooking the Indian Ocean. If you’re looking for the ultimate in luxury, atmosphere & incredible views, it’s hard to beat this astonishing retreat. 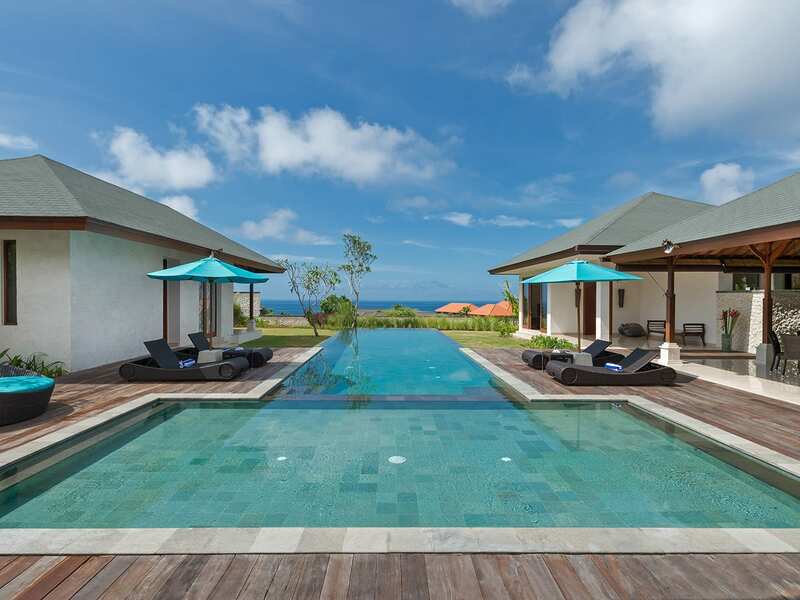 Perched on the edge of a cliff overlooking the Indian Ocean on the Bukit Peninsula, Villa Soham is part of the Sohamsa Ocean Estate, a spectacular property with five lavish bedrooms boasting incredible ocean views. Tropical chic Villa Rose is an extraordinary 4-bedroom clifftop villa on the expansive grounds of the Pandawa Cliff Estate in the Bukit Peninsula. Featuring a contemporary twist on traditional tropical design with spectacular ocean views. 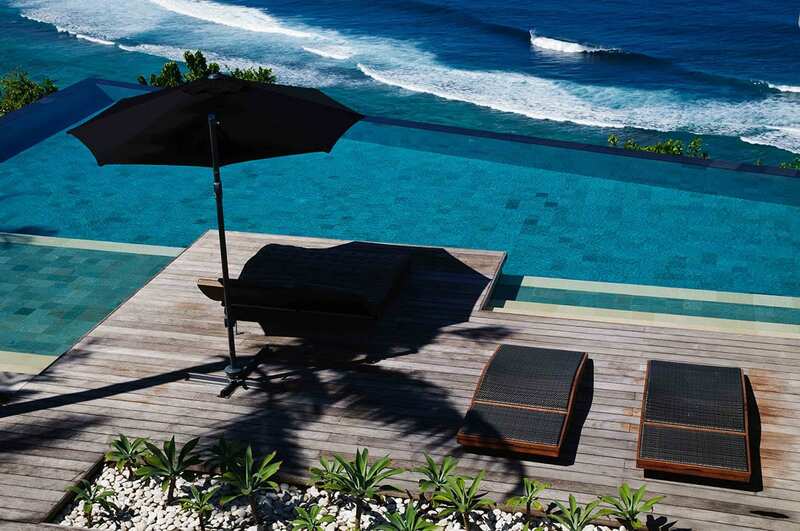 Villa Markisa is a magnificent 5-bedroom villa perched on the edge of a cliff overlooking the Indian Ocean. 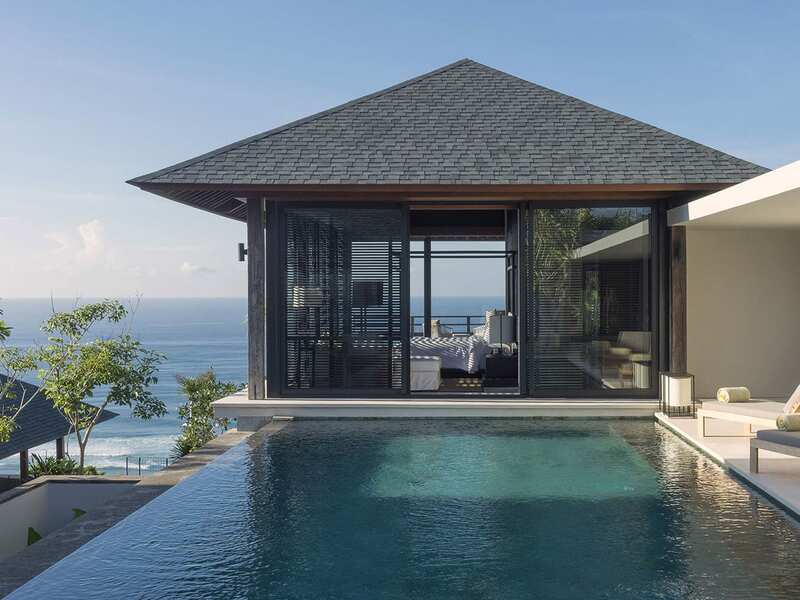 The villa is the newest addition to Pandawa Cliff Estate, a sprawling property that houses four unique private villas in the Bukit. Think of it as your own private mini resort. 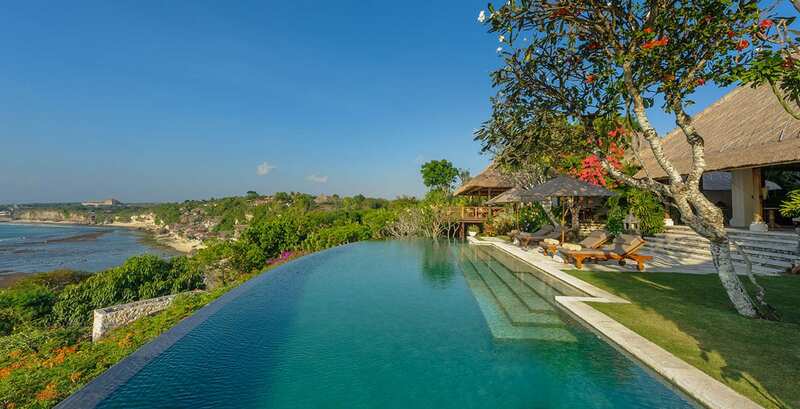 Villa Chintamani is a spectacular 5-bedroom cliffside villa set in the stunning Ungasan Clifftop Resort in the Bukit, overlooking Bali’s rugged coastline & the cobalt waters of the Indian Ocean. With the colonial style often found in the Caribbean and the Hamptons, Villa Tamarama is a spectacular 5-bedroom cliffside property set on the stunning Ungasan Clifftop Resort in the Bukit, overlooking the Indian Ocean. 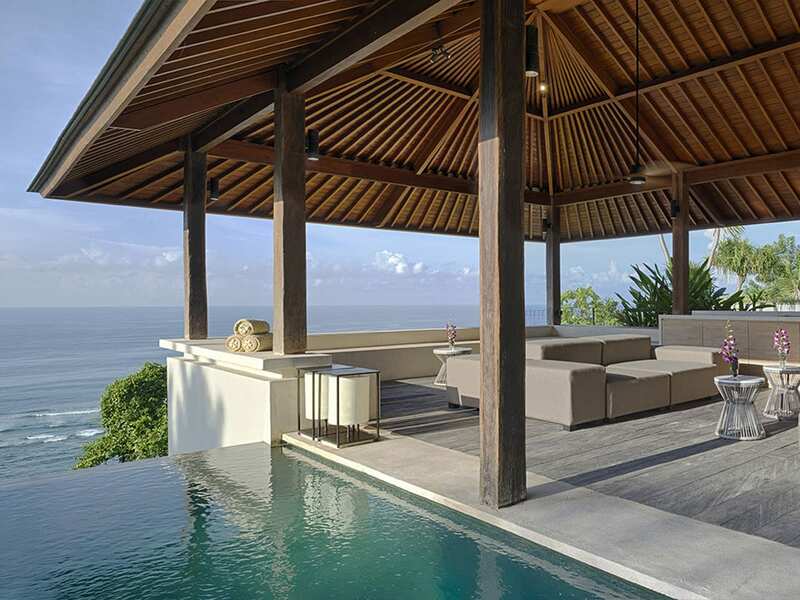 Perched high on the dramatic cliff tops of Bali’s Bukit Peninsula, the spectacular 5-bedroom Villa Bayuh Sabbha enjoys breathtaking Indian Ocean views and languishes over three sprawling acres of glorious tropical gardens. Villa Capung a 3-bedroom villa in Uluwatu is the perfect hideaway for surfers, golfers or anyone else looking for a bit of luxury on the Bukit. 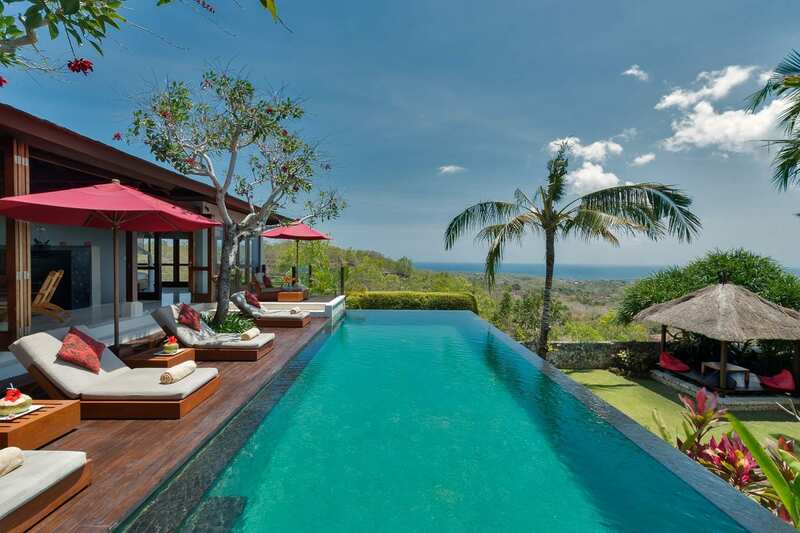 This gorgeous villa rests on the edge of a cliff overlooking Jimbaran Bay and the Bukit Peninsula. The ultimate in luxury and privacy, Villa Ambar enjoys a beautiful open plan design featuring spectacular views across the Indian Ocean. 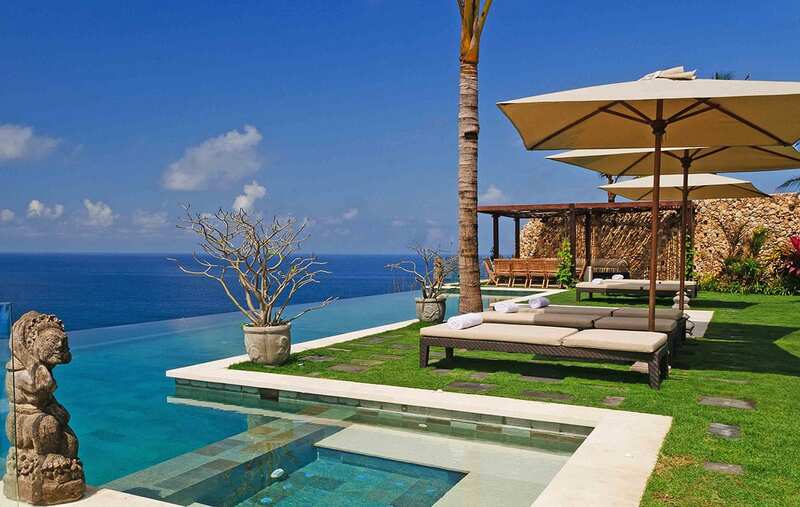 This stunning 5-bedroom cliffside villa is located at The Ungasan Clifftop Resort in the Bukit. A luxurious tropical island getaway, Villa Pawana is a stunning 5-bedroom cliffside villa at the spectacular Ungasan Clifftop Resort. 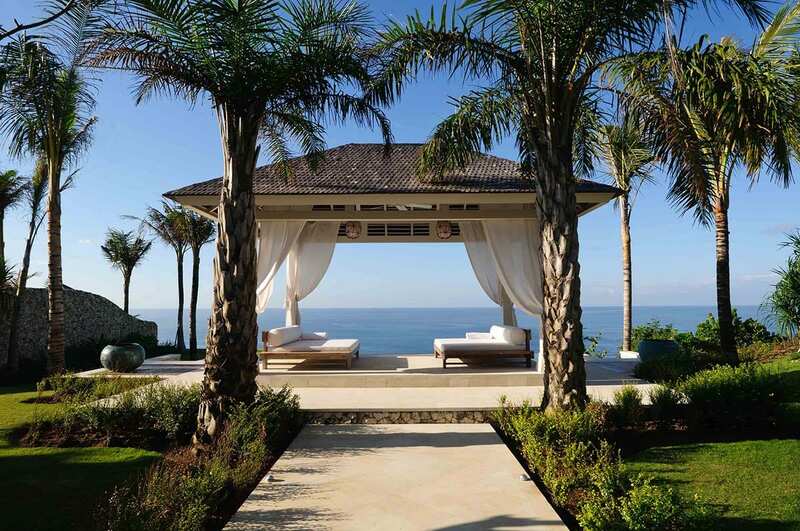 This chic 5-bedroom cliffside villa overlooks Bali’s rugged coastline & the cobalt waters of the Indian Ocean. Villa Nora offers an alluring mix of luxury indoor and outdoor living with spectacular 180-degree views of the Indian Ocean. This stunning 5-bedroom cliffside villa is located at the The Ungasan Clifftop Resort in the Bukit. 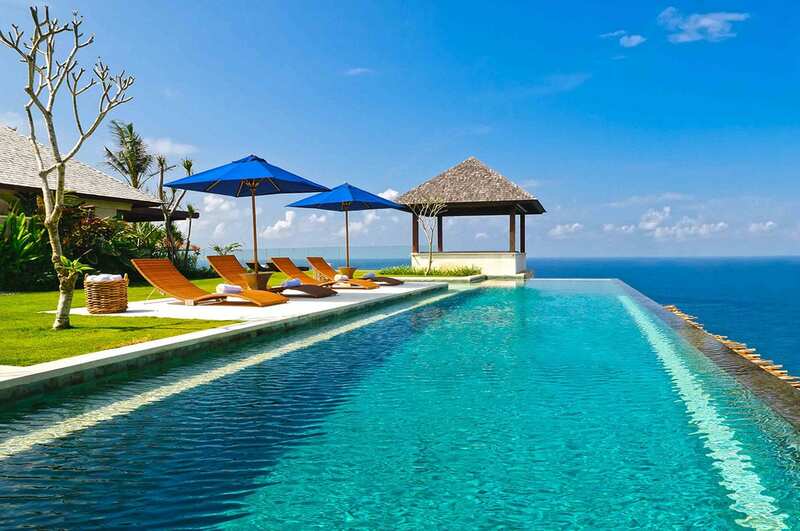 Sprawling across the top of a limestone plateau high above the Indian Ocean on Bali’s southernmost coast is Sohamsa Ocean Estate, a sublime property with 2 luxurious cliff-top villas including Villa Soham and Villa Hamsa. 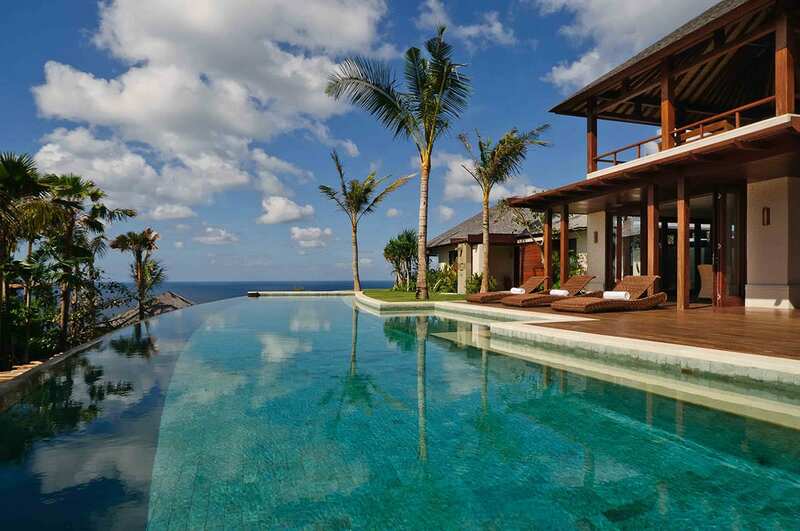 Set high on a cliff overlooking the Indian Ocean and the white sands of Pandawa Beach, Villa Marie is a stunning 6-bedroom villa and part of the breathtaking Pandawa Cliff Estate, a collection of four spectacular ocean-facing villas in the Bukit.